STAAR testing kicks off this week for our IDEA scholars in Texas. Take a look at the testing schedule, along with a list of helpful testing tips for your IDEA scholar. Best of luck to all of our scholars and teachers this week! Meet Gabbria Parker. Gabbria is a Mathematics Pre-AP teacher at IDEA Innovation College Preparatory, one of IDEA's schools in Baton Rouge. As one of our founding teachers in Southern Louisiana, she admits that her love for education came later in life after she spent five years in business administration. Alexandra joined IDEA as a student, worked her way through college and now teaches at IDEA Montopolis CP. She has since joined IDEA's Relay Residency program which allows her to teach and earn her master's degree. Below is Alexandra's journey through IDEA in her own words. The lady IDEA Quest Trailblazers are bringing home the District 31-4A record after being name with UIL Girls District Champions in varsity soccer. This is the first district championship for the school’s soccer program. Have you heard the great news? Fifteen IDEA scholars, all of whom are part of IDEA’s 2019 graduating class, have just been named Dell Scholar Finalists. This means that these 15 individuals will receive the nationally renowned Dell Scholarship, which provides students with financial assistance, resources, and mentoring to ensure they have the support they need to obtain a bachelor’s degree. Help Us Celebrate IDEA's 19th Birthday! Today, March 3, marks IDEA Public Schools’ 19th birthday! To help us celebrate in a big way, check out our birthday Facebook page to donate to our birthday scholarship campaign. Jervion’zoe Brown, 3rd grader, and Kiante Walker, 1st grader, are students at IDEA Bridge Academy. They also happen to be cousins and give each other a cheery wave and a greeting when they pass in the school corridors each day. 360 students in the city’s east side. Morgan Johnson is a Founding Teacher Fellow from IDEA South Flores Academy. Morgan found himself traveling from California to Texas last year after being accepted into the Founding Teacher Fellows Program. If your child was selected to attend IDEA for the 2019-20 school year, congratulations! Welcome to our Team & Family! You’ve made a great decision to partner with IDEA to ensure your child succeeds on the road to and through college. IDEA’s Student Lottery is held annually to ensure equal access for all student applicants. Read below for eight things you should know about this important event. “We like to take time to thank our Team & Family for being the heartbeat of IDEA and the real-life connection between our mission and our students,” says Tom Torkelson, Founder and CEO of IDEA Public Schools. Walking down the hallways of IDEA Walzem, you would know if you saw Cristen Martens, the school’s Assistant Principal of Instruction (API). She would be the petite administrator, beaming from ear to ear, greeting students, and encouraging teachers. Our staff members are our most valuable asset in achieving our mission of College for All Children. IDEA Public Schools is proud to join our nation in honoring Black History Month. The celebratory month also known as National African American History Month, is an annual celebration in the month of February of achievements by black Americans and a time for recognizing the central role of African Americans in the story of the United States of America. In the fertile borderlands of South Texas, agriculture is booming. The mild climate and bright sunshine offer farmers the chance to grow a wide range of crops and fresh produce year-round. However, this agricultural oasis is also home to one of Texas’ most notorious food deserts, and while many lack access to fresh produce, there is no shortage of fast food options. Imagine a place where school children spend their days learning both inside and outside of the classroom; where students can spend time outdoors harvesting bountiful crops of vegetables they have grown themselves, while studying about how they help fuel the human body. 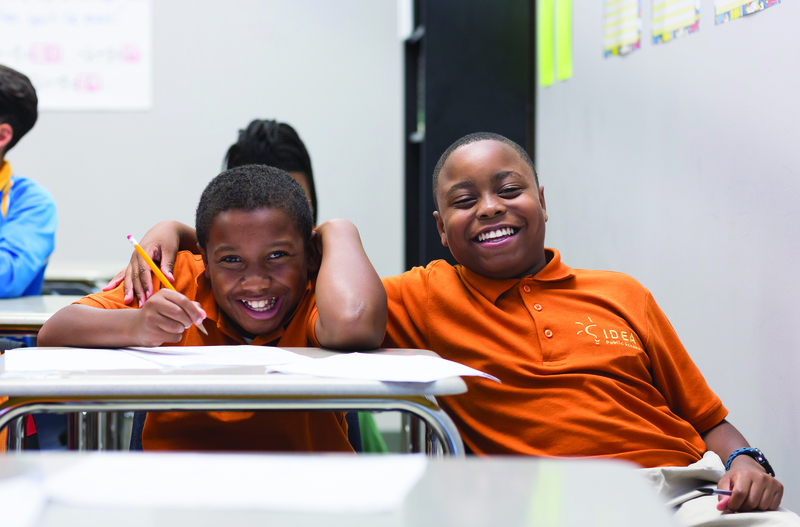 6th grade is a pivotal year for IDEA students, marking the transition from Academy to College Preparatory. 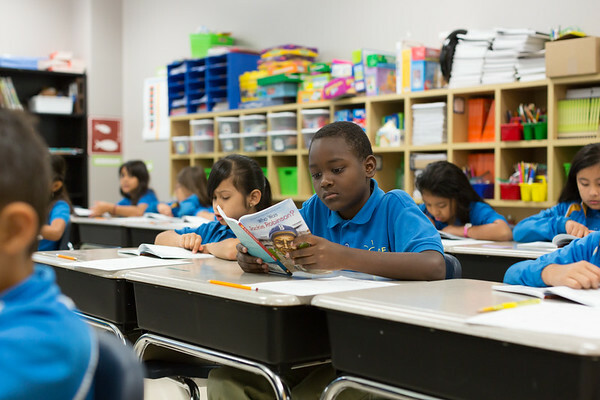 At the College Preparatory level, further responsibility is placed on IDEA 6th graders to grow to become resourceful learners who take initiative. The goal of our college-readiness efforts is for every student to enter their first year of college well-prepared to succeed in college-level courses. 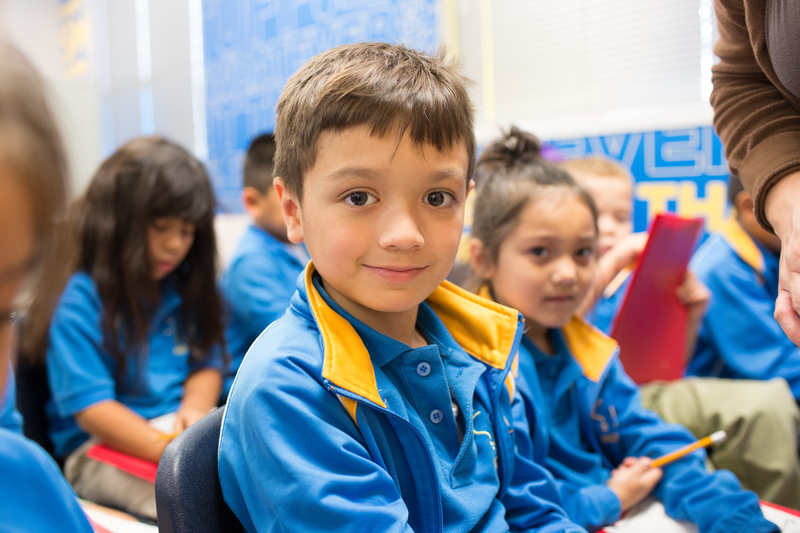 Kindergarten is a fundamental year for students at IDEA Public Schools. It is an exciting time when students learn foundational skills like math, reading, and English Language Arts by combining fun and challenging classwork and activities. 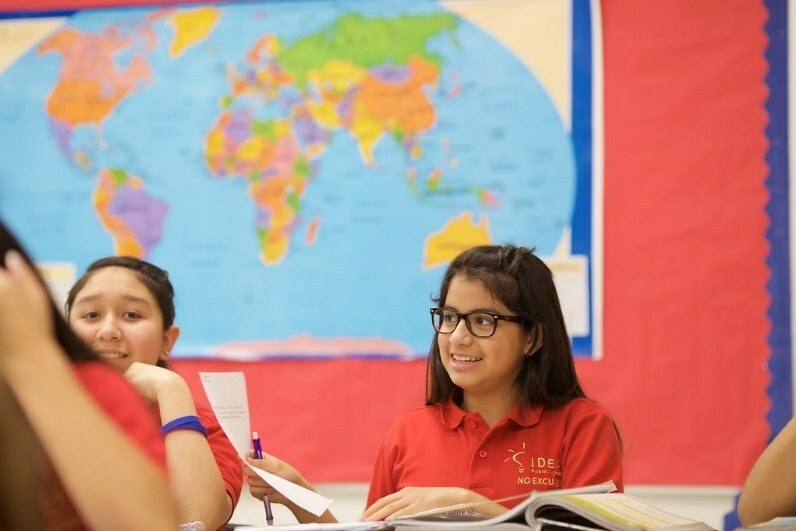 IDEA’s engaging curriculum piques the interest of young learners and enhances a variety of skills necessary for success throughout Academy (grades Pre-K-5), College Preparatory (grades 6-12), and college. How old must a student be to enroll in kindergarten? Per law, a child must be five years old by September 1 in Texas and five years old by September 30 in Louisiana. Can my child attend if s/he did not attend Pre-K? Absolutely! The completion of Pre-K is not a requirement. What are the school hours for a kindergarten student? Next month at IDEA, we will hold our annual random lottery to ensure equal access for all student applicants. Our lottery will be held February 16, 2019 at 9 a.m. CST. For those families who have applied, and for potential families thinking about applying, here is why this event is important. The lottery ensures every student has a fair chance to attend IDEA—no excuses. Re-register Your Scholar for the 2019-2020 School Year by February 9! We hope your child has had an amazing year so far at IDEA Public Schools! With only a few months left in the 2018-19 school year, it’s time for our annual re-registration process. We look forward to having our scholars return next year. To guarantee your scholar’s spot, you will need to re-register your child using SchoolMint by February 9, 2019. This week, IDEA Public Schools will join thousands of schools, districts and communities in recognition of National School Choice Week (NSCW). 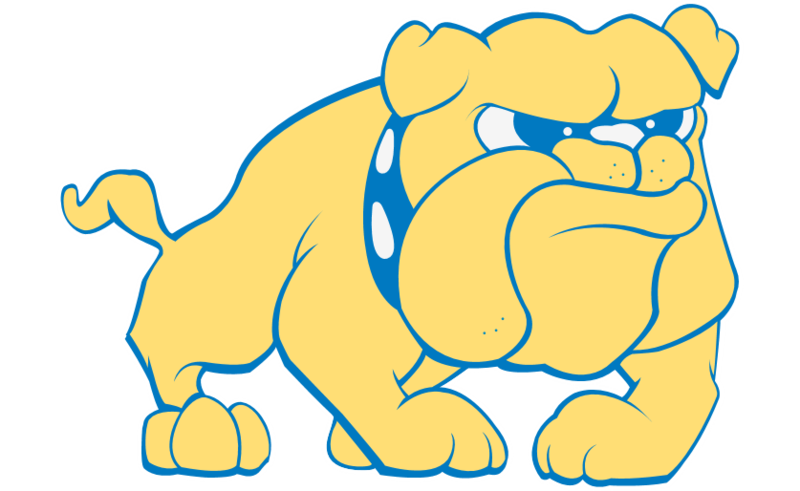 NSCW is an initiative created to shine a positive spotlight on effective education options for children, including traditional public schools, public charter schools, magnet schools, private schools, online learning, and homeschooling. “I have the audacity to believe that peoples everywhere can have three meals a day for their bodies, education and culture for their minds, and dignity, equality, and freedom for their spirits.” – Dr. Martin Luther King Jr.
On Monday, January 21, 2019, IDEA Public Schools will be closed in observation of Martin Luther King Jr. Day. 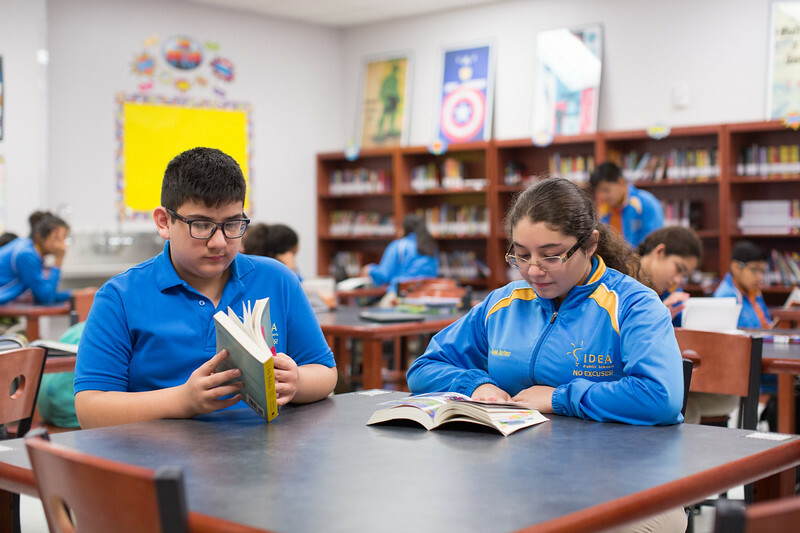 IDEA Quest College Preparatory has been named as one of 24 Texas schools nominated as a 2019 National Blue Ribbon School by the Texas Education Agency (TEA). The Edinburg, Texas campus was founded in 2006 and is led by Principal Jose Luis DeLeon. I have accepted IDEA’s offer for my child to attend. Now what? Now that you have accepted your scholar’s offer, your next steps are to complete registration online via SchoolMint and attend your school’s Welcome to IDEA event. What is Welcome to IDEA? We had another amazing year at IDEA Public Schools. We are so proud of these accomplishments, and we know none of it would be possible without the hard work, dedication, and commitment of our Team & Family. Here are some of our favorite moments and accomplishments of 2018. 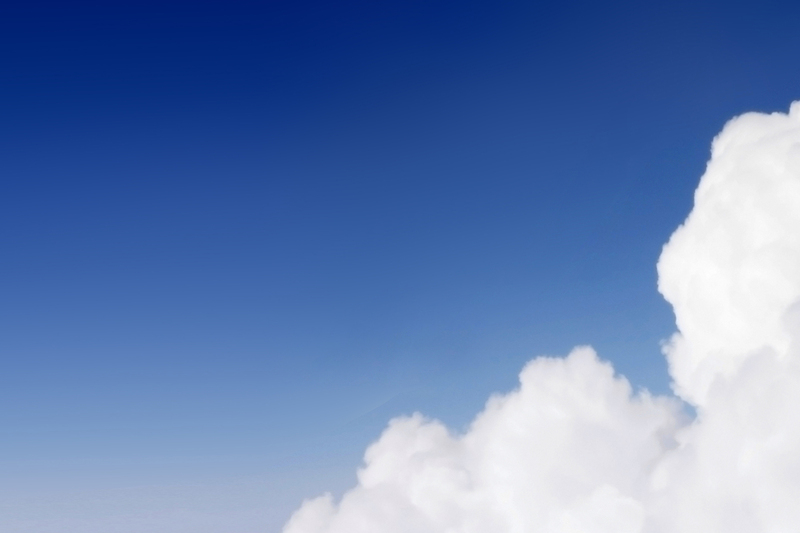 Take a look at just some of the feats we’ve accomplished together. We can’t wait to see what 2019 holds! At IDEA Public Schools, we partner with families to ensure their children get the education they deserve to have a successful future. We recently asked parents what they wish for in their child’s future and here’s what they had to say. An open dialogue between families and staff is critical to the success of any school. By incorporating the thoughts, perspectives and opinions of our IDEA families, we can enhance our ability to improve the IDEA family experience. This is why IDEA Public Schools launched an inaugural Family Advisory Council (FAC) in fall 2018. IDEA Public Schools will be closed for Winter Break from December 21 through January 6. During this time, we recommend fixing up some hot chocolate, snuggling under some covers, and reading with your child. When your child finishes a book, remind him or her to test on it online via the Accelerated Reader software! Afterward, throw in some fun math games online too! For 12 consecutive years, 100 percent of IDEA's graduating seniors have been accepted into college, and an increasing number are accepted into Tier 1 and 2 level schools. This staggering number speaks volumes to the dedication, not only of IDEA students, but also the staff. 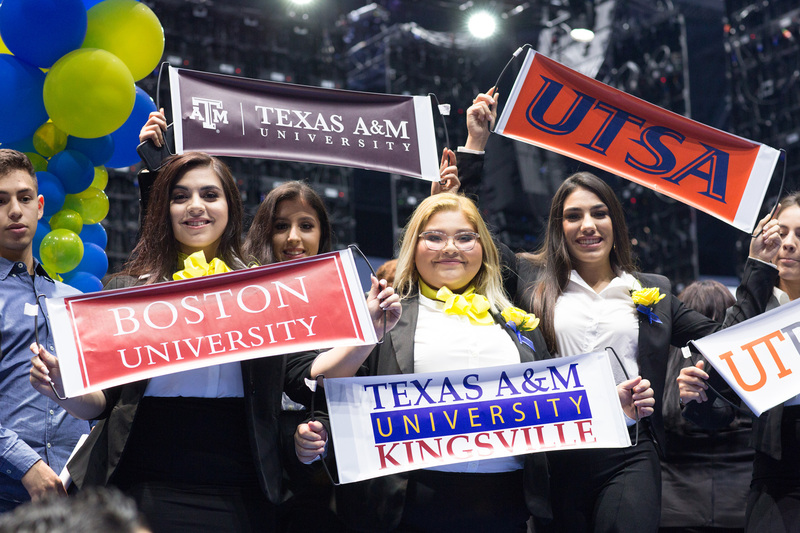 Producing quality college applications for dozens of seniors is no small feat, just ask Janet Magana, IDEA's Director of College Counseling at IDEA College Preparatory Pharr. How does high school at IDEA prepare students for success in college and in life? Take a look at these nine unique steps that ensure 100% of IDEA alumni were accepted to colleges and universities for the past 12 years. William Pierce has enjoyed eight years teaching at IDEA San Benito College Preparatory and plans to spend many more focused on being the best special education teacher possible. His passion for teaching special education is longstanding and stems from his time as a middle school student. IDEA is Coming to New Orleans in 2019! 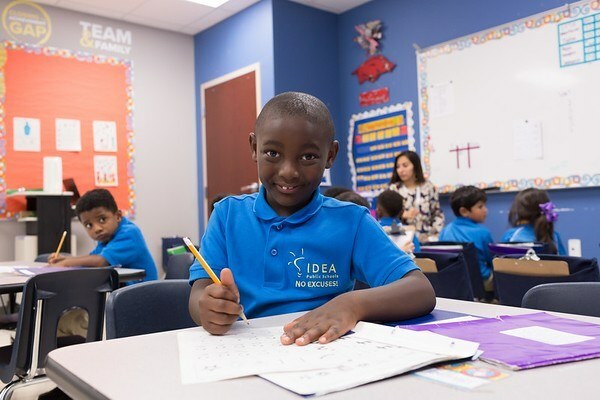 IDEA Public Schools, a high-performing network of public charter schools in Texas and Louisiana, announced it will open IDEA Oscar Dunn in fall of 2019 and will serve students in grades K - 5. The campus will add a grade level each year until it is a fully-scaled K - 12 school. IDEA Oscar Dunn will be located at 12000 Hayne Blvd, New Orleans, LA 70128. 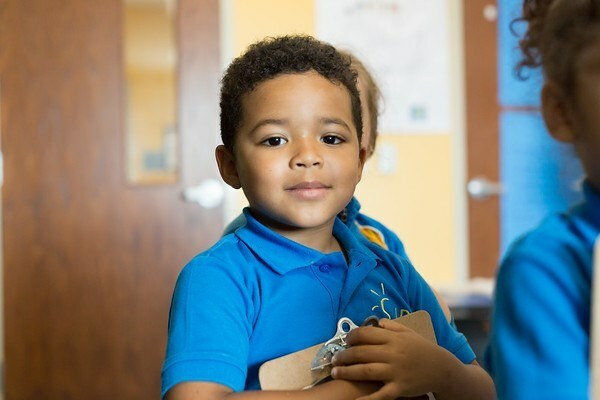 IDEA is a family of tuition-free, Pre-K – 12 public charter schools open to serving all students and committed to ensuring every scholar is prepared for success in college and life. That journey begins in Pre-K. Here are some frequently asked questions about IDEA's stellar Pre-K program. What does the day-to-day schedule look like? On November 14, IDEA Public Schools joined Austin community members, and supporters in the groundbreaking of IDEA Health Professions. The campus will serve more than 468 students when it opens in August 2019. On Thursday, November 15, IDEA Public Schools partnered with Green Mountain Energy Sun Club and Alba Energy to "flip the switch" for a 1,072 solar panel system at the IDEA headquarters in Weslaco,Texas. The ceremony served a dual purpose--to celebrate IDEA going solar and the IDEA headquarters building turning two years old! From the first day students set foot on an IDEA Public School campus—whether at Academy or College Preparatory—we instill in them the expectation that they will go to college. This expectation is woven in the fabric of everything we say and do. To see our students to and through college, we provide a rigorous and comprehensive curriculum. What’s a Thanksgiving meal without plenty of side dishes? Well, IDEA has just the recipes you need to complete your Turkey Day spread. 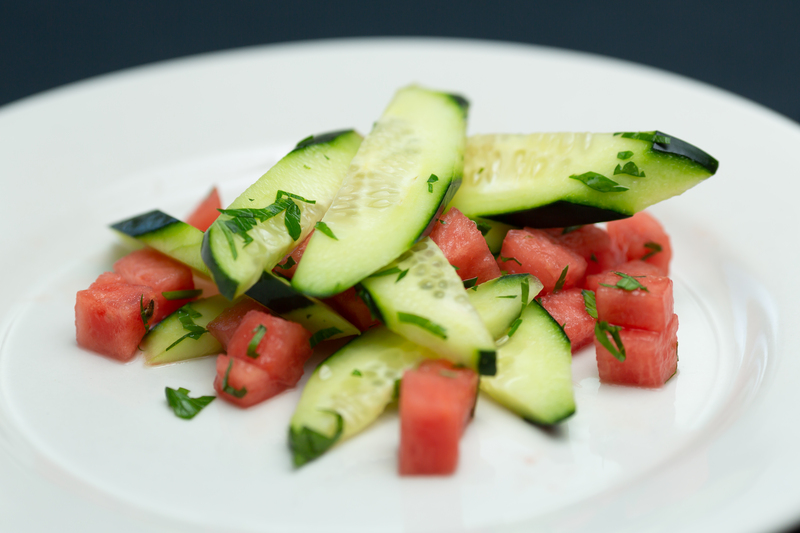 We’re pulling these scrumptious recipes from our Healthy Kids Here cookbook. With the Thanksgiving holiday around the corner, it’s time to relax, spend time with family and friends, and…continue learning! Did you know that IDEA’s Accelerated Reader & iLearning Hotspot software will be available during Thanksgiving Break, November 17 through November 25? Here are four reasons your child should log on and keep the learning going while snuggled up at home, or on a fun trip to the local library. Today, IDEA is paying homage to our nation’s heroes—those who have served our country and protected our freedoms in the United States Armed Forces. 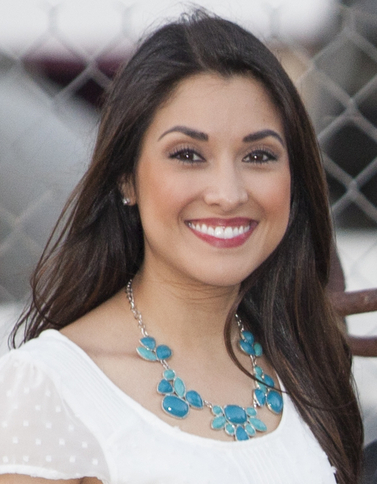 On this significant day, we would like to highlight one of IDEA’s veteran leaders, Christina Flores, for her years of dedication and service to our country and our IDEA scholars. Like many parents, Dariana Jefferson was anxious about her son Kaleb’s transition into middle school. 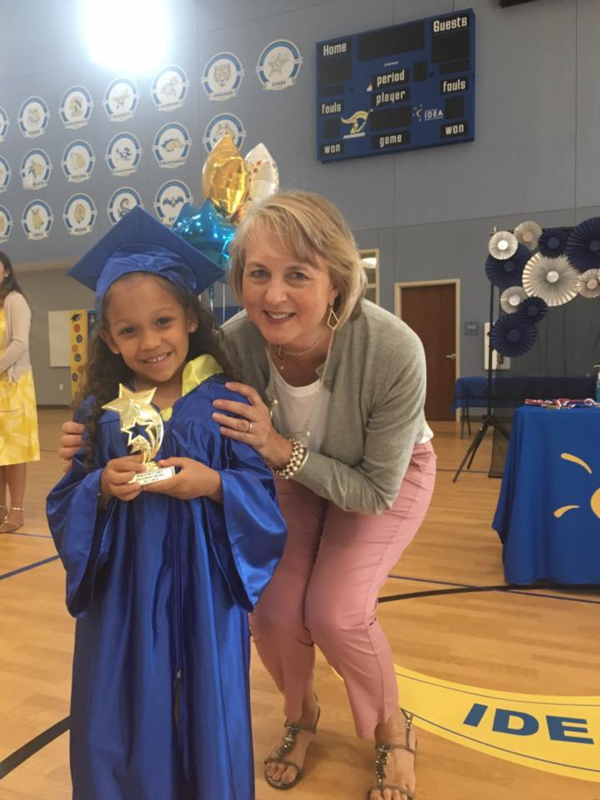 Unsatisfied with many of the local school options, she heard about a Texas charter school network that was making its way into Southern Louisiana for the first time. The room was filled with anticipation on Monday, November 5, during IDEA’s Halftime event in preparation for the announcement of our newest principals. Once the names and schools were revealed, attendees cheered and applauded the eight audacious leaders who have dedicated their careers to education and will lead IDEA students on their journeys to and through college. On Sunday, November 4, Spurs legend, David Robinson, and Tom Torkelson, CEO and Founder of IDEA Public Schools, joined forces to formally announce the gifting of more than $500,000 to IDEA Carver. Thanks, in part, to a $100,000 sustainability grant from Green Mountain Energy Sun Club®, the IDEA headquarters in Weslaco, TX, is being fitted with 1,072 solar panels for a 364kW system! 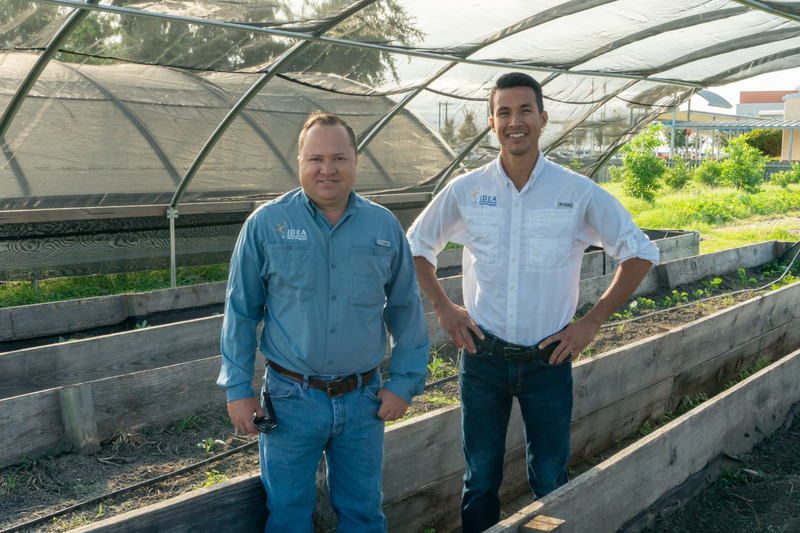 This project will help establish IDEA Public Schools as a leader in sustainability, and with the inclusion of edible gardens, power generation and innovative waste solutions, IDEA Headquarters could become the first self-sustaining building in South Texas. By the year 2026, an estimated 2.4 million health profession jobs will be added in the United States, making healthcare one of the most sought after and highly projected occupations in the nation. In the burgeoning city of Austin, the healthcare industry is booming, but lacks racial diversity among its health professionals. In Travis County, merely 13 percent of physicians are Asian, 10 percent are Latino, and 2.2 percent are African-American. "For any parent, our child is most valuable to us. We stretch our time, money, resources and ourselves to give them the best life they can possibly have. Every third week in October, school districts throughout the country observe National School Bus Safety Week to raise awareness of the importance of school bus safety. IDEA Public Schools also leverages the week to highlight the impact of our transportation team, honor our bus drivers and share important safety tips across the various modes of transportation for our scholars- bus riders, car riders, and walkers. The support of a community makes all the difference when it comes to success, and no one believes that more than Mario Marquez. This bright, articulate 6th grader at IDEA Edgemere loves the sense of community that IDEA affords students and is quick to tell you so himself. Did you know that according to National Family Partnership, children of parents who talk to their teens regularly about drugs are 42% less likely to use drugs than those who don’t? This week, IDEA Public Schools celebrated 6 years of educational excellence in Austin and honored the contributions and achievements of senior leadership, founding students, teachers, and community leaders at a luncheon on Wednesday, October 17. The luncheon welcomed 250 attendees who heard from IDEA Board member and parent, Yolanda Davila, IDEA CEO and Founder, Tom Torkelson, and three founding IDEA Austin students. At IDEA, we offer Pre-K at 29 of our campuses, and we’re growing! Four years ago, IDEA launched its half-day Pre-K program at IDEA Pharr Academy. The mission: Place four-year-olds on the path to success in college and in life with a quality Pre-K program. October 15-19 is National School Lunch Week (NSLW), and IDEA is celebrating in a big way! This annual celebration raises awareness about the availability of the National School Lunch Program. NSLW is a chance to increase lunch participation and give our community visibility of our healthy school lunch program. Every day we are doing something to promote eating a healthy lunch in a creative way. The IDEA Hotline is now available. It's National Taco Day! As a recent National Healthy Schools Award winner, and part of IDEA’s Healthy Kids Here initiative, we have created a nutritious taco recipe from our latest Healthy Kids Here Cookbook! Bon appétit! IDEA Mission Academy has been designated as an Exemplary Achievement Gap Closing Schools National Blue Ribbon School for 2018 by U.S. Secretary of Education Betsy DeVos. Welcome to the Team & Family, IDEA Elsa! On Tuesday, September 25, IDEA Public Schools gathered with community leaders, board members, IDEA students, and others to celebrate the official ribbon cutting of one of our newest campuses, IDEA Elsa. Celebrations abounded last week for IDEA Public Schools in Baton Rouge, Louisiana and Kyle, Texas! IDEA Innovation and IDEA Kyle celebrated their historic ribbon cutting ceremonies among community leaders, board members, IDEA students and other special guests. On Wednesday, September 19, IDEA Innovation—one of the two new IDEA campuses in the Baton Rouge area—held their highly anticipated ceremony. IDEA Principal In Residence Program: Are you ready to lead with IDEA? With the start of the academic year also begins the search for a cohort to join IDEA’s Principal in Residence (PIR) Program for the 2019-20 school year. Candidates that are accepted into the program spend 1-3 years learning and supporting students in campuses across the IDEA network. 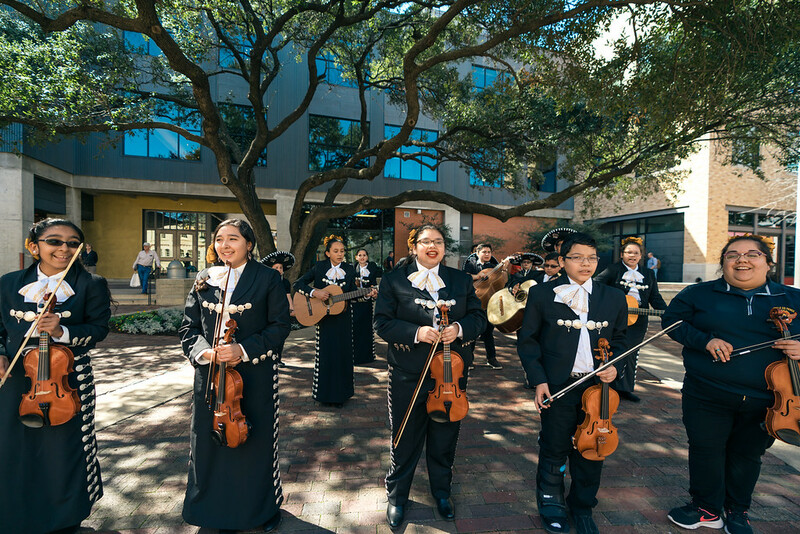 IDEA Public Schools is proud to celebrate Hispanic Heritage Month (September 15 – October 15), a time when we highlight the cultures and traditions of those who trace their routes to Spain, Mexico, and the Spanish-speaking countries within Central America, South America, and the Caribbean. On Monday September 10, IDEA Public Schools gathered with community leaders, board members, IDEA students, and others to celebrate the official ribbon cutting of one of our newest campuses, IDEA Owassa. Located at 1000 W Owassa Road in Pharr, Texas, IDEA Owassa opened on August 13 for the 2018-2019 school year, welcoming approximately 762 students in grades Pre-K through 2nd and 6th. Apply Today: The IDEA Public Schools 2019-2020 Student Applications Is Live! The application window to apply to IDEA Public Schools for the 2019-2020 school year is now open! Congratulations to IDEA Ewing Halsell Academy Principal, Pamela Ray, on winning the Wesley Becker Excellent School Award from the National Institute of Direct Instruction. The national award was presented last month in Eugene, OR by the National Institute for Direct Instruction (NIFDI). 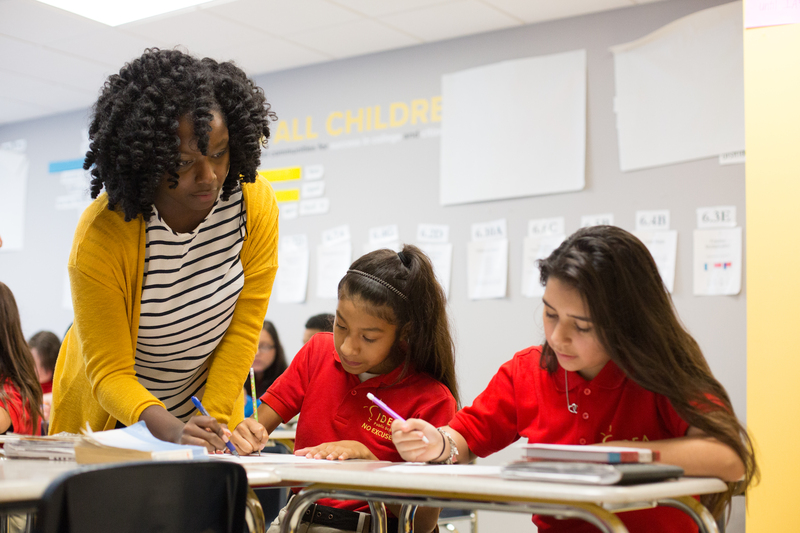 IDEA Ewing Halsell Academy was selected as a 2018 recipient from a selection of public and private schools across the country that use the Direct Instruction teaching method. 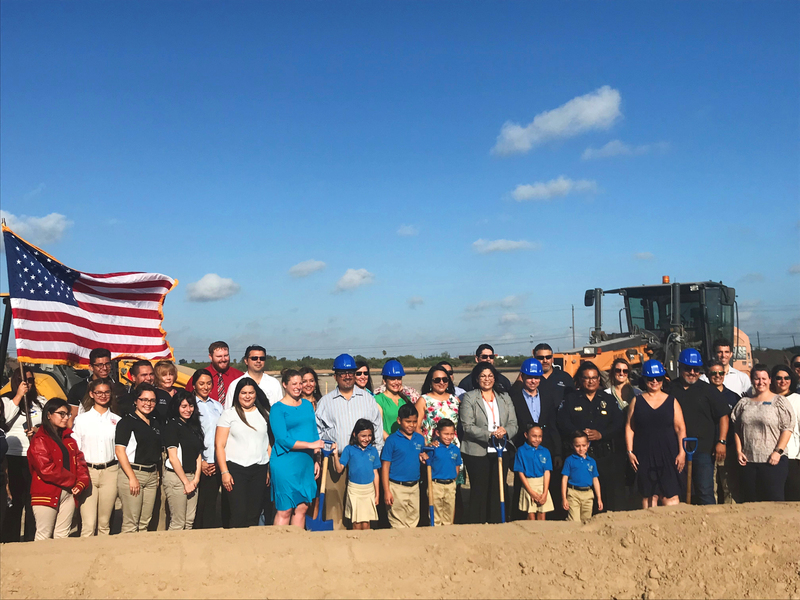 IDEA Public Schools gathered with community leaders, students, and local supporters yesterday to celebrate the official groundbreaking of IDEA Robindale located at FM 802 and Robindale Road in Brownsville. Yesterday, IDEA Public Schools joined local Tarrant County community leaders and supporters to celebrate the groundbreaking of IDEA Rise. The campus will serve more than 468 students in August 2019. IDEA Tarrant County Executive Director, Ana Martinez, Executive Director of the Sid Richarson Foundation, Pete Geren, and Brian Byrd City Councilman District 3, initiated construction on the newest IDEA Tarrant County campus. 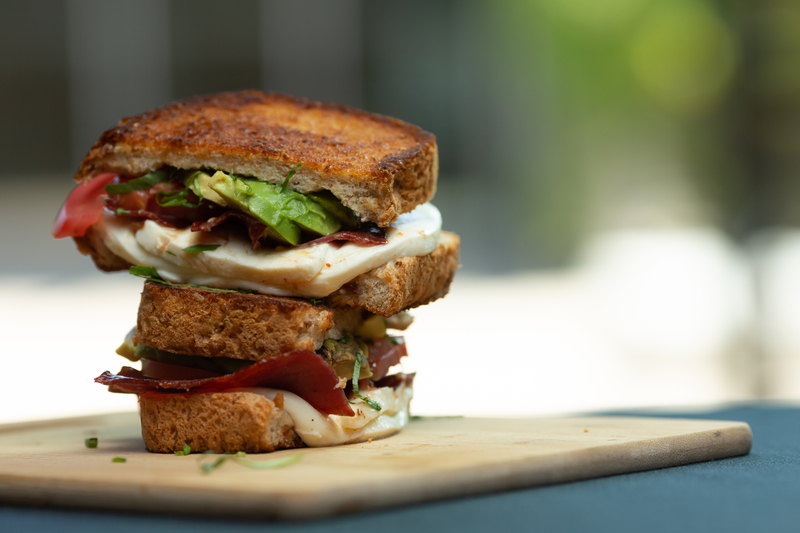 Looking for the perfect Labor Day dish to enjoy while spending time with family and friends? Look no further! We have compiled a list of delicious and nutritious kid-friendly recipes to make your holiday that much sweeter. From healthy appetizers to savory dishes to delicious desserts, we’ve got you covered with these fantastic recipes and more featured in our 2018 Healthy Kids Here Cookbook. IDEA Public Schools is pleased to announce it will open schools in New Orleans in the fall of 2019. 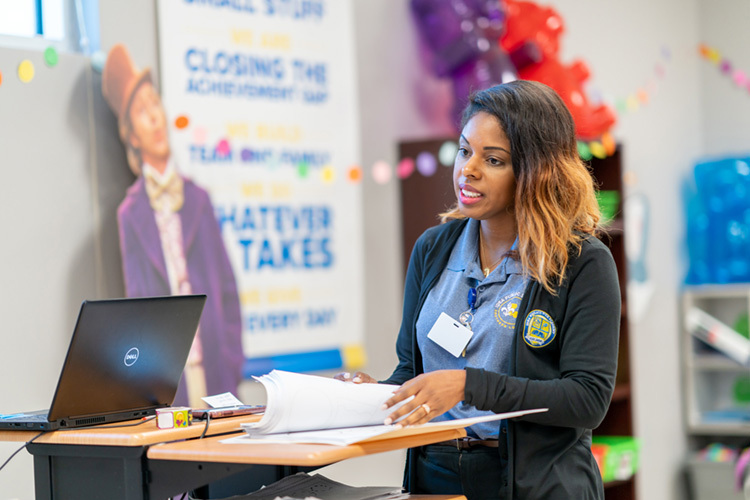 Based on the demand from parents for more high-performing public schools that prepare their children for college, IDEA has enjoyed steady growth within the state of Texas and recently celebrated the opening of two new out-of-state campuses in Baton Rouge, Louisiana for the 2018-2019 school year. 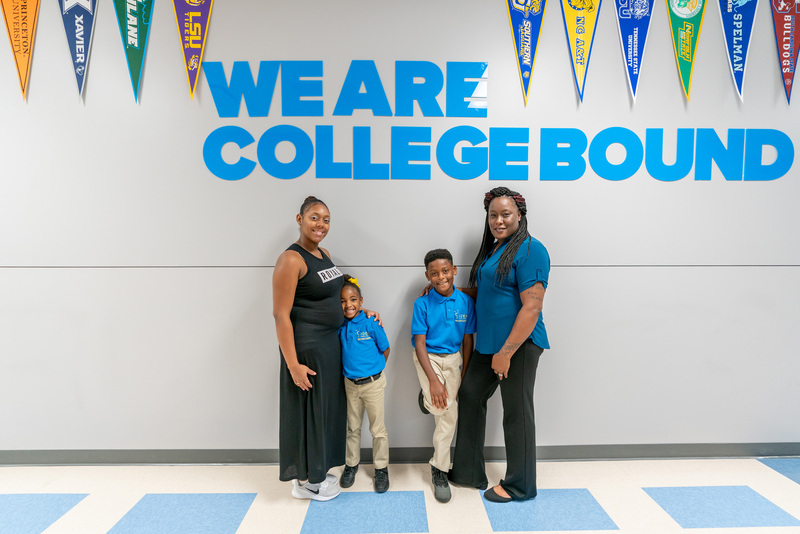 For the first time ever, IDEA Public Schools celebrated its first day of school in two states, as campus staff welcomed nearly 44,000 students across 5 regions in both Texas and Louisiana. Students and families entered IDEA’s beautiful new campuses, and teachers waved hello as students laughed and hugged their parents before giving campus staff big high-fives and beginning the school day. The 2018-2019 school year is nearly upon us and parents of students who are attending new IDEA campuses are urged to complete the free and reduced priced meals (FARM) application as soon as possible. 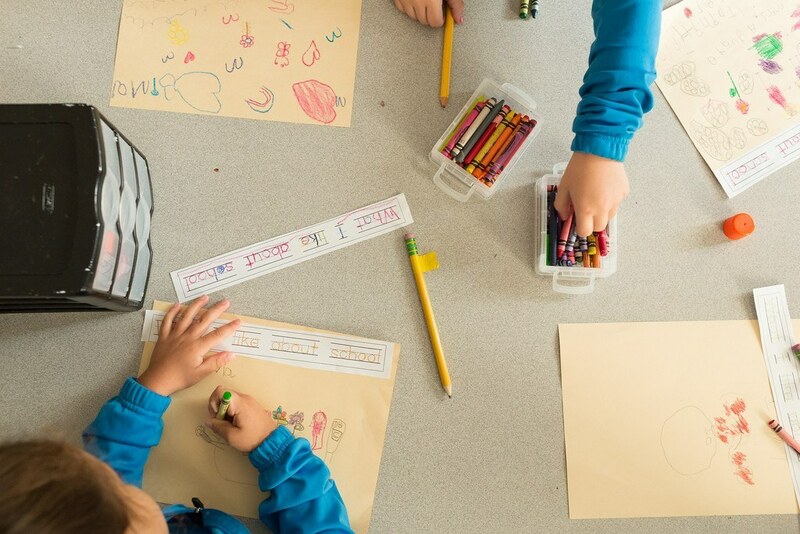 The Texas Education Agency (TEA) has selected IDEA Public Schools as the recipient of a $1.5 million award for its 2018-2019 Texas 21st Century Community Learning Centers. 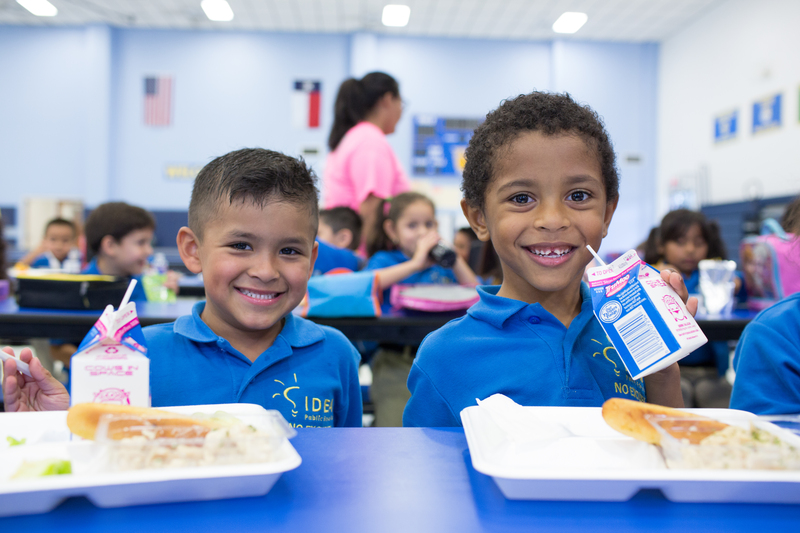 Last school year, the Child Nutrition Program (CNP) at IDEA Public Schools adopted the Community Eligibility Provision (CEP) which provides free breakfast and lunch to all children at select schools. 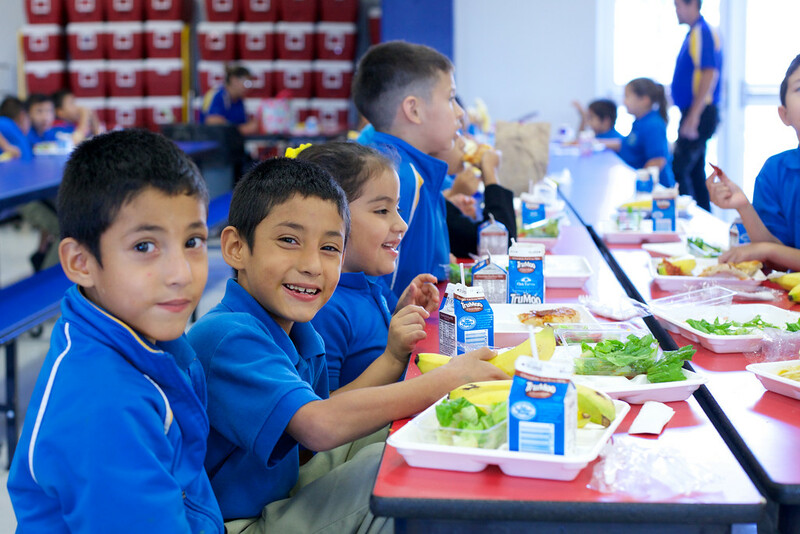 Recently, the schools that qualify for the National School Lunch Program and School Breakfast Program for the 2018-2019 school were announced. IDEA Allan: New name. Same Excellence. IDEA Allan, in Austin, Texas, will be renamed IDEA Montopolis, effective July 1, 2018. Since its founding in 2012, IDEA Allan has created an incredible track record of leading every scholar on a path towards college and success. The school’s legacy and rich history is widespread in the communities in which it serves. 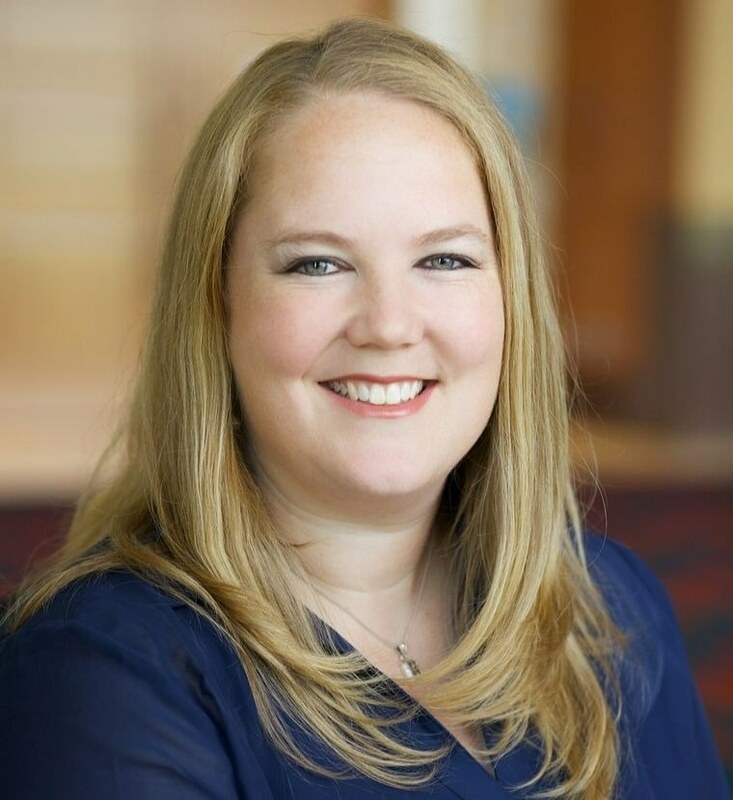 As a Licensed Specialist in School Psychology (LSSP) at IDEA Headquarters, Mara Wenzel says she is motivated by changing the lives of children in the region she grew up in. 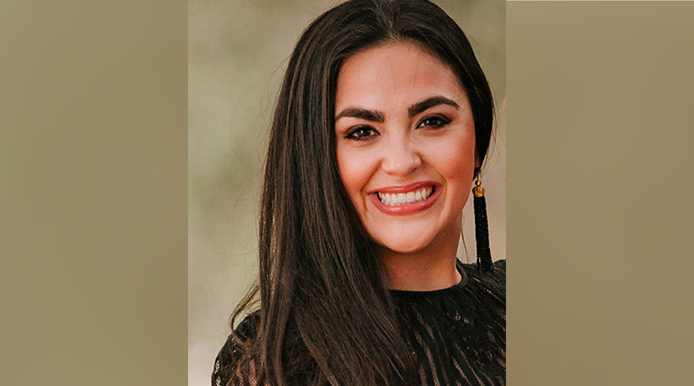 When Mara started her career as a teacher, she knew right away that she wanted to make an impact and minimize obstacles that would prevent students from meeting their potential. 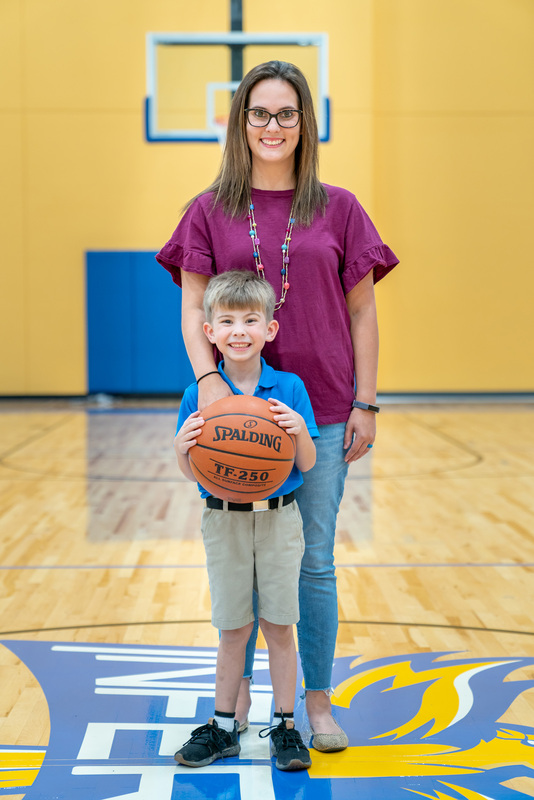 The dynamic wave of wellness and nutrition at IDEA Public Schools known as the Healthy Kids Here initiative is in its fifth year and is making another splash nationwide. 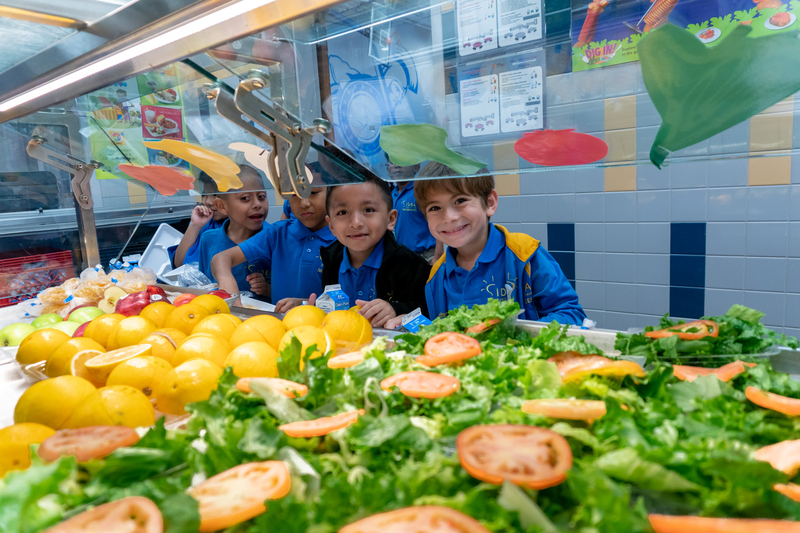 Recently, nine IDEA schools made the Alliance for a Healthier Generations list of “America's Healthiest Schools” after winning the prestigious National Healthy Schools Award for their hard work in creating a healthier school environment. What a historic week for IDEA Public Schools! 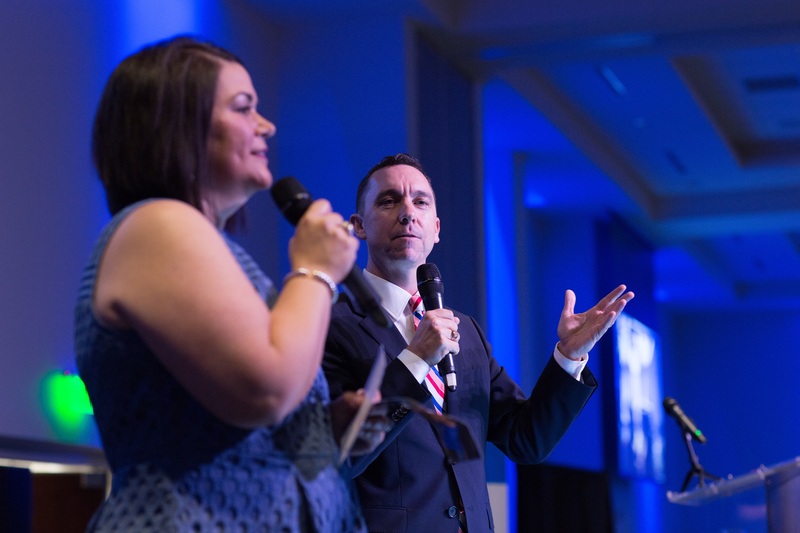 On June 19, The National Alliance for Public Charter Schools inducted Tom Torkelson, IDEA CEO and Founder, and JoAnn Gama, IDEA Co-Founder, President, and Superintendent, into the 2018 National Charter School Hall of Fame. At IDEA, the safety of our students and staff is a top priority. We are continuing to closely monitor weather and flooding conditions across our regions this afternoon. Attention parents! There are limited spots available for the 2018-2019 school year at select IDEA campuses. Registration is now open for the upcoming school year, so the time to enroll is now. If you'd like to enroll in one of our open grades, take 3 minutes to fill out this quick application. We'll enroll students in the order in which applications are received! The school year may be over, but the IDEA Team & Family knows that learning never ends. We encourage all IDEA scholars to remain scholastically sharp by engaging in summer reading. Not only is it fun, data shows that students who read during summer vacation are more likely to score higher on tests once school resumes. IDEA Public Schools was recently recognized as a Texas Honor Roll school district. Due to high achievement and student excellence in academics, IDEA was recognized as one of 7 districts who achieved this honor in the state of Texas.